We walked to the ticket booth minutes before the concert and purchased the cheapest seats in the house. After all, we were there to listen. Sometimes, we peered over the balcony to see a quartet play. We listened to a seven different quartets play. My soon to be eleven year old, to my own astonishment, stood attentive and less restless than many adults would have been. He had been cajoled into coming because I told him about Seiji Ozawa, the conductor. My son is a judoka and a manga reader. "Respect to Japan!" he said. Moreover, he is a violinist, or as he says "a swimmer who plays the violin." We ran up the stairs of Victoria Hall, 6 sets of stairs to the very top, where tickets are a mere 25 swiss francs (and 13 for students). We entered the baroque interior of the theater. 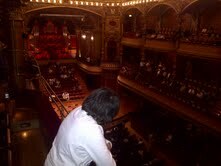 I came to realize that this was my son's first experience at a classical music concert! 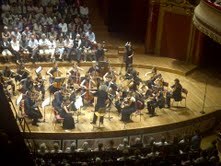 The second part of the concert was composed of two sets of orchestras, one playing Beethoven. The finale was directed by Seiji Ozawa, whose name sounded all too familiar to me. It turns out he heads the Boston Symphony Orchestra. He conducted the violins and cellos with bare hands, no stick in hand. He appeared to be dancing with the music, in fusion with the instruments that he was directing in a concerted effort. I must admit I did miss out on all the precious occasions to have listened to him in Boston. But now, I was redeeming myself by attending and bringing a long my son. Listening to the various quartets and then to the orchestras made me wonder about their long hours of practice, together, as a team, in concerted effort. Under the guidance of a maestro like Seiji Ozawa. Incidently, it was a music infused night. My son knew that Coldplay's concert would be broadcast live on TV at midnight. We waited patiently and it was only a few songs into the concert that he fell asleep, on the couch, to their popular melancholic tunes. Exposure to various musical talents and styles are so vital for the appreciation of teens.It has always been an accepted fact that classical music can be only appreciated only after a mature age.Now they expose toddlers to Mozart and Bach. For the past few years I have acquired taste for opera and classical music,that I feel I need to catch up for lost time. So did you also end up paying 13 CHF? As you pointed out very correctly music is to be listened to. All types of music! 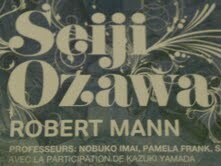 That is wonderful that you went to a Seiji Ozawa concert in Geneva! I have been to many concerts of the BSO before as I went to Tanglewood the summer before university and played there and attended a lot of concerts, plus, of course the four years I was at university at Boston U.
I have been meaning to e-mail you, actually, and say congratulations because Torab received a score of 123 on his exam, which is a Merit and quite a good score! Congratulations to both of you! As a mom myself I know it takes a lot of patience and perseverance from the moms as well! 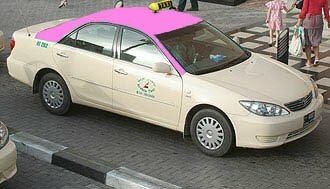 But please tell Torab "good job" for me, as that is a very good result and I am quite pleased.